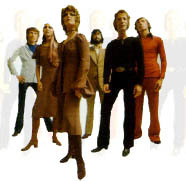 This five-piece was put together by Steve Rowland and aside from himself, consisted of two guys and two girls. 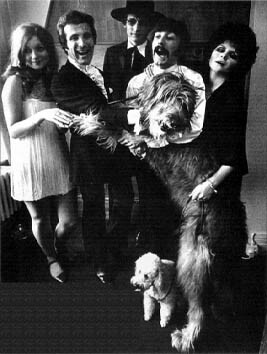 They are best remembered for the well-crafted pop song, "Way Of Life", which was a Top Ten hit in 1969. They were unable to attain such dizzy heights in the future and, despite the fact that Steve Rowland tried different line-ups under the same name in 1970 and 1976, they are remembered as 'one hit wonders'. Christine Holmes went on to host 'Crackerjack' briefly, recorded a few singles under the name Kristine Sparkle and did impersonations for the TV series 'Who Do You Do' under the name Kristine. Several people passed through the band over the years. 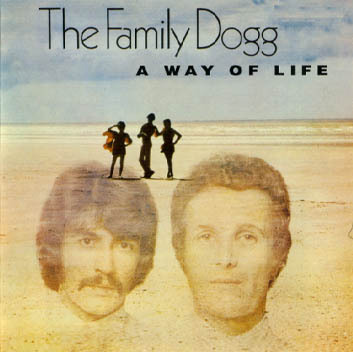 The Family Dogg actually started, in concept, in Madrid, Spain in 1965 when Steve Rowland and Albert Hammond met. Both of these young dudes were lead singers in separate pop bands, whose members were all native Spanish. Steve was the lead singer with the comically called group, Los Flaps and Albert, being Gibraltar-born, was the main ingredient in the group, Los Diamond Boys. 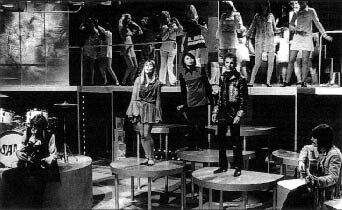 There was a big concert given at Cerco Price, a large concert hall in downtown Madrid in the Summer of 1965. One year later, in London, England, Steve and Albert met up again. Good times in Spain were recalled and it was decided between the two that this relationship should continue in England. The result of this decision was birth of The Family Dogg.